All the EMS color teams in the stands. 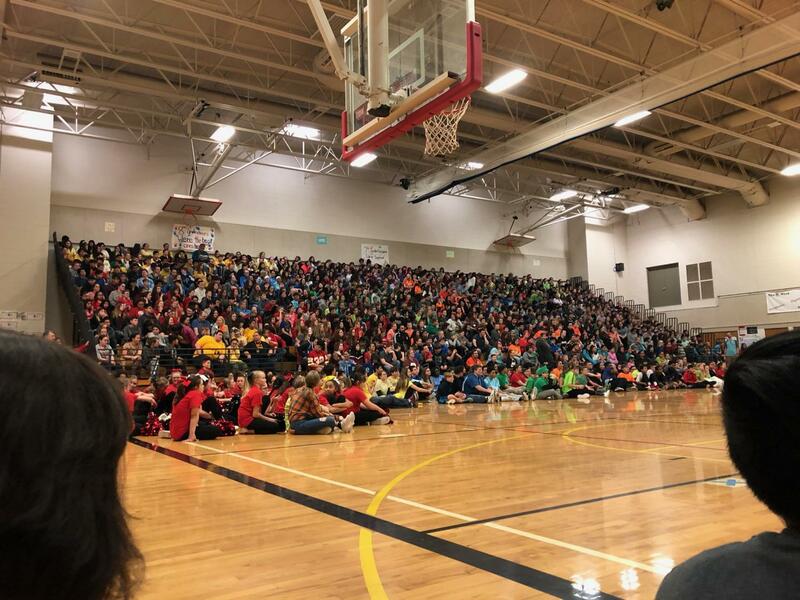 On March 8th, 2019 EMS held their yearly Spirit Olympics in the EMS gym. This is an event where all of the color teams come together for some friendly competition before we go on spring break while enjoying some performances from Spirit Squad, your very own EMS Band, and the High School Color Guard. During the Spirit Olympics a couple of the games that were played were Knockout, Giant Feet, and Guess That Song. In the end, even though it was close, the eighth grade yellow team won the 2019 EMS Spirit Olympics.